Fancy a peek behind the scenes at one of Britain’s oldest cinemas? Well you’re in luck as the lovely Phoenix Cinema in East Finchley runs regular (and free!) tours of its fascinating High Road premises. 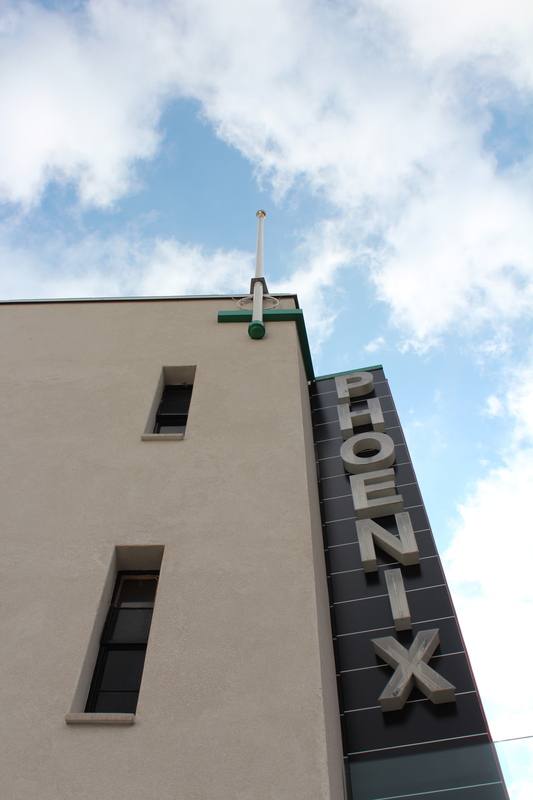 The Phoenix was purpose-built as a cinema back in 1910 and is well worth a look – as well as visiting its deluxe deco auditorium these tours also give you access to areas visitors would never normally see and teach you much about its history and heritage. It’s interesting to learn that the East Finchley Picturedrome, as it was then known, was originally more or less back-to-front compared to its current layout. The rake of the cinema followed the slope of the hill down towards the High Road, with the screen at the front of the building. Patrons would enter via doors on either side of the screen – and as people used to come and go during screenings back then this made for many interruptions. Originally the cinema was topped with exotic Moorish-style onion dome towers – a huge revamp in 1938 rung in many changes, not least of which was the sleek modernist frontage we still see today. It was at this point that the screen was moved to the back of the cinema and landfill used to create a rake that now went in the opposite direction, though the 1910 barrel vaulted ceiling was retained. These renovations also saw the addition of the beautiful gold and bronze art deco plasterwork panels in the main auditorium. 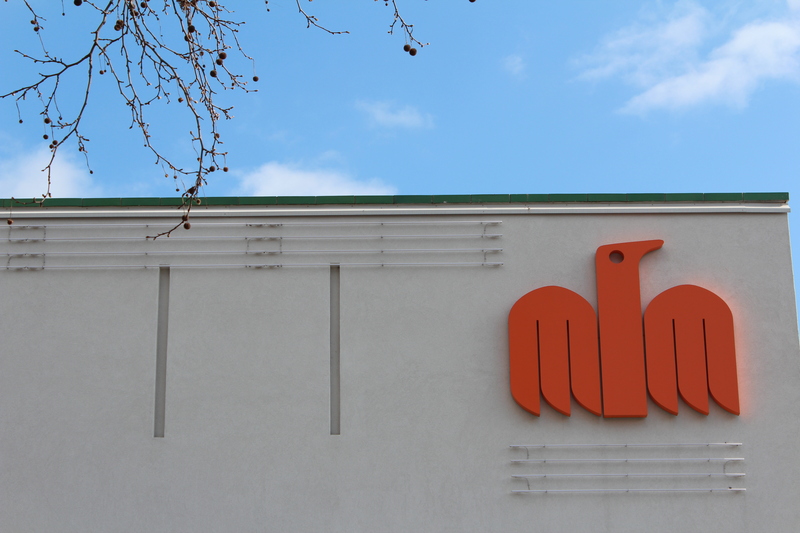 Designed by Mollo and Egan – who worked on similar decorations in a number of cinemas of the era, many now sadly demolished – the panels represent various aspects of art and industry. The rich golds, bronzes and reds of the auditorium create what is surely one of London’s most beautiful cinemas, and one which has been featured in a number of films itself (such as The End of the Affair and Interview with a Vampire). 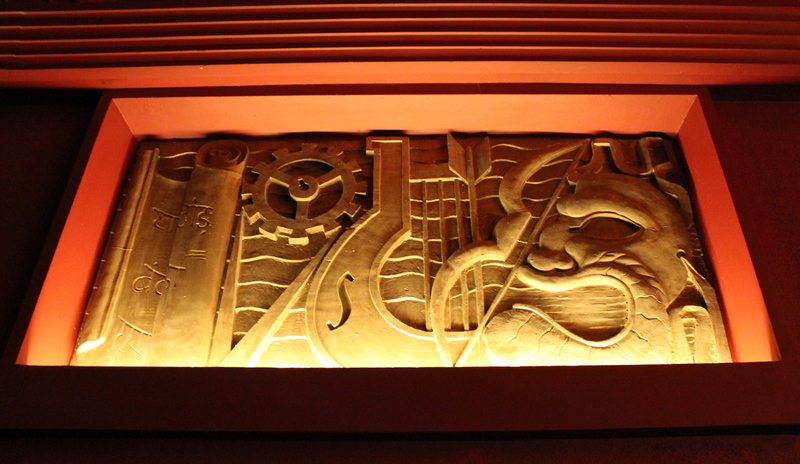 The tour spends some time in the auditorium (before the screenings start for the day), pops past a boiler room behind the screen (where you will see a hand-drawn decoration from the earliest days of the cinema) before finishing in the projection room, one of the tour’s highlights. Not only will you get to see the projectionist’s view of the auditorium, but a projectionist is on hand to point out the many old features of the room, as well as explaining how films are screened today. While most cinemas are now exclusively digital, at the Phoenix the old 35mm projector still sits side by side with the digital one. 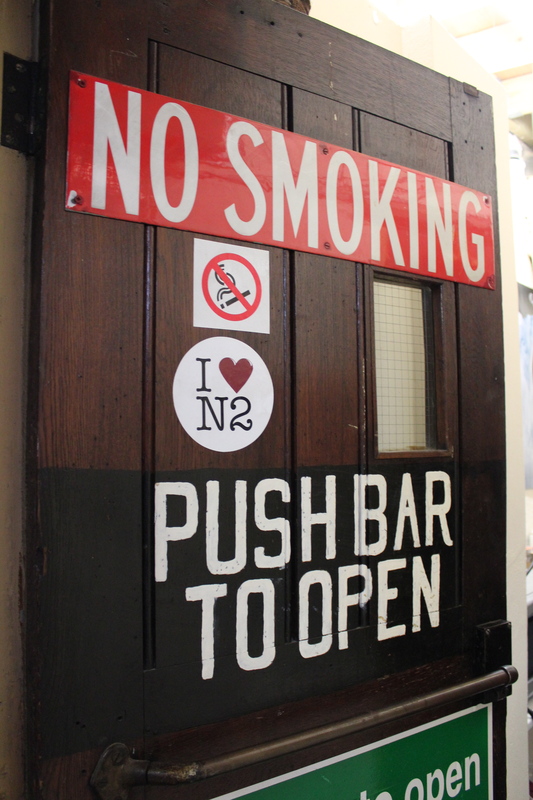 Other nice touches include the vintage ‘no smoking’ signs which were mandatory back in the days of highly flammable nitrate film stock (and when people still contemplated smoking in the workplace). The tours run for approximately 45 minutes on Sunday mornings, generally once a month – the next dates are 22 April, 13 May and 10 June, usually starting at 10.30am, 11.15am, 12 noon and 12.45pm. They are free but must be booked in advance – contact the box office on 020 8444 6789 or email heritage@phoenixcinema.co.uk. This entry was posted in Cinemas, Guided tours and tagged art deco cinemas, behind the scenes tours, cinema tours, East Fincley Picturedrome, London cinemas, Phoenix Cinema by thelondonphile. Bookmark the permalink. Yes it’s lovely Henry, you should definitely make a visit!